Flexible polyurethane foam is one of the most commonly used products in today’s world. Known for their strong support and flexible usage, they are used in a majority of the things that we use on a daily basis. They support your back on those long drives, make furniture a bit more comfortable, and even keep you warmer than usual on those cold nights. Polyurethane is used in places that we don’t see with the naked eye but feel through its’ contributions. Polyurethane comes from a large family of polymers or plastics. They can have an open-celled structure to them or they can also be rigid, mimicking a closed-cell type of foam. 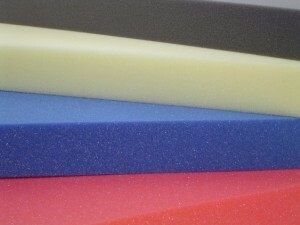 This is why this type of foam is so diverse and useful for everyday applications. By reacting both polyols and diisocyanates, you make polyurethane foam. These two chemicals are derived from crude oil and then processed in a way that is similar to bread rising to create this foam. Certain amounts of additives are then added to the foam which increases its quality, depending on what it’s used for. Polyurethane foam has many uses to it. From household applications to construction use, it’s become one of the foundations for practicality. If you’re stuck in traffic, the polyurethane foam sheets are the things that are keeping your back from slumping all the way in the middle. They are also used in packaging as well. Businesses need a reliable buffer between the thin sheet of cardboard and the product and polyurethane does an efficient job at protecting it. Bio: Foam Factory, Inc. is a high-end distributor of polyurethane foam in Canada.